VAIO Corporation（Head office: Azumino City, Nagano Prefecture; President: Hidetoshi Yoshida）will consecutively launch sales of VAIO PCs in 6 European countries (Germany, Austria, Switzerland, UK, Denmark, and Sweden) with the aim of growing overseas business. This will bring the total number of global sales areas to 18 including Japan. While domestic PC sales remain the principle axis of VAIO, we will continue to consider business developments that are tailored to each area in partnership with optimal business partners for our overseas market. In addition to existing overseas sales areas, we are adding Europe as our new sales region due to the high expectation placed on the VAIO brand. We will begin the sales of VAIO PCs in the European region in cooperation with TREKSTOR GmbH whose own brand has an existing presence in the EU region. 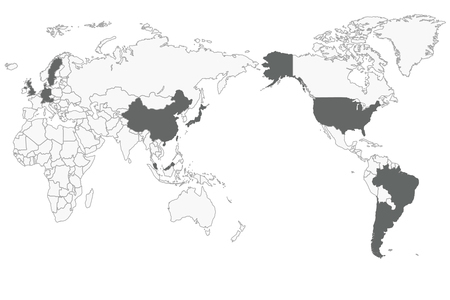 Sales consecutively launched in the following 6 countries. TREKSTOR GmbH will be licensed by VAIO Corporation to perform business including manufacturing, sales, and servicing of PCs under the VAIO trademark within the European areas. * Sales will start consecutively as of April 2, 2019. Since establishment in 2009, TREKSTOR GmbH has developed and manufactured electronics ranging from MP3 players and external hard drives to tablet and notebook PCs with operations based in Germany. Furthermore, based on feedback from various customer demographics, they are bringing innovative products to the market such as wearable smart watches in the IoT B2B area.